Sailing in Croatia is like nothing you’ve ever experienced before! It’s the perfect mix of exploring the amazing islands of Croatia and partying all in the same week! What more could you ask for? Here are 5 reasons why you should book your Croatia adventure with Sail Week Croatia. Regardless of if you’re going by yourself or in a group of eight you’re going to meet so many people from all around the world. If you’re going in a smaller group, you’ll be travelling on a yacht with other people you haven’t met before and it’s one of the best experiences. You and your new travel buddies become a family where you all pitch in to buy more alcohol and have cute dinners in town together. You all help to clean up when there’s a mess after cooking and the person with the spray-on coconut sunscreen becomes everyone’s best friend! Not only do you have an amazing time with your new yacht family, you also have time to mingle with people from the different yachts who are sailing with you. you’ll soon find yourself sharing a watermelon filled with vodka on someone else’s yacht by the end of the week! Trust me, it’s epic! The Croatian nightlife is next level. One night you’ll find yourself dancing on a pebble beach under the stars and the next you’ll find yourself dancing inside a rock cave in Makarska! Sail Week Croatia have the greatest party destination on each island and the best part is, it’s all organised for you! All you need to do is follow the crowd and you’ll find yourself dancing to summer tunes with everyone on Sail Week Croatia! Sailing in Croatia isn’t just about the parties – even though they are some of the best parties ever! The day activities on each island are a mix of adventure and sightseeing. Or, you can relax on the island by visiting some of their picturesque beaches, exploring the town and finding the amazing lookouts for your next Instagram picture. The water is like nothing you’ve ever felt before! You’d think that jumping in the middle of the ocean would be freezing but it’s the exact opposite! It was so warm and calm, our skipper had to bribe us to get out of the water so that we could make our way to the next island. You’ll be dreaming about the water long after your sail week! 5. The Circle Raft Party – the best party on water! This is the one party that everyone has been waiting for… and for good reason! The skippers find a secluded cove between the islands and set themselves up in a circle making it your very own private pool! Before long, everyone has their inflatable toys out, everything from inflatable pizzas to giant yellow ducks and unicorns. The Sail Week crew bring out giant speakers and set up a DJ stand on one of the catamarans. Everyone comes to the centre of the circle to dance together on their inflatables while others dance on their yachts and at the top of catamarans. There is no other party like it! Over the past year, I have been following the work of Irem Kirman as she explored the worlds food culture within the online community of Reddit. She utilised the online platform to connect with people in different countries to gain first-hand knowledge about ingredients and where they were sourced from. This semester, she has iterated her trajectory to compile the Reddit threads into a website. Originally, I was going to review Chloe Ianni’s project around cyborgs as it is a topic that I am really interested in, however, I believe doing a peer review on Irem’s work will be more valuable as I have been able to witness its growth from its original inception in the second half of last year. Irem’s project is a cohesion of two parts, the threads on Reddit and her comprehensive website. Earlier this year, I travelled to the Philippines to visit my family. Before you ask, no, I’m not Filipino, but half of my family did move there from Australia 15 years ago. One of the best things to do in Manilla is to shop, but I don’t shop at any Mall or SM Mall of Asia, I shop at the black market. We drove 30 minutes out of the city in traffic like you’ve never seen before. Three lanes were magically turned into six lanes. Jeepneys pushed their way into the traffic with riders casually hanging off the back of the ‘bus’ with one hand. Motorbikes filled the microscopic spaces between the cars making it harder for anyone to move anywhere. For as long as I can remember, I was always told that the story isn’t about me. In high school, my teachers would time and time again remind us that using ‘I’ in an essay or short story was almost like shooting ourselves in the foot. We were told that using ‘I’ lessened the value of the work and that the pure focus should always be about the research and the content. When I think of Ishiro Honda’s 1954 film, Godzilla, I immediately visualise images of destroyed Japanese towns, a fire-breathing monster and terrified people. The classic combination for a Sci-Fi Horror film. Before today, I hadn’t watched any of the films under the Godzilla umbrella because I wasn’t allowed to watch it. Growing up as a young ethnic-Australian girl in the late 1990s, my parents Italian/ South American parents were strict in regards to what we watched. At the time our television screens were filled with Japanese manga and cartoons with slight undertones of violence and destruction. My mum banned my brother and I from ever watching shows and films like Godzilla or Japanese manga or cartoons because there was too much violence for impressionable young children. After watching Gojira, i’m glad I didn’t watch the film when I was younger. Through the lens of the New Historian Literary Theory, Godzilla was created as a product of the historic events which it was created in. If I was to have watched the film when I was younger, all I would have seen was scenes of destruction and over-dramatised acting. I wouldn’t have appreciated the history and underlying themes that capture the culture’s struggle surrounding the events that took place around WWII. The film was different to what I had expected. It deeply explored the effects of the Hiroshima and Nagasaki atomic bombs which ravaged the Japanese towns causing years of after effects, contamination and radiation. It also played on the social anxieties surrounding the U.S atomic bomb of Castle Bravo which detonated in 1954, the same year Godzilla was released. Godzilla itself was a motif for the unstoppable effects that the atomic bombs continued to have on the Japanese population. Upon watching the film, I came to notice the theme of Human vs. Self where the community (human) vs. Godzilla (self) . Godzilla is a representation of the persona that humanity has created with the intention to be the better version of humanity and take over, in turn causing destruction. 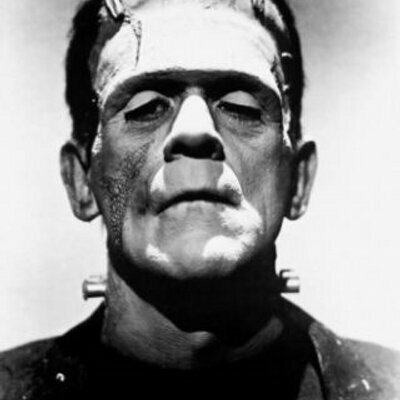 This draws parallels with Mary Shelly’s Frankenstein where the monster becomes a product of its creator. In this case, Godzilla is the product of humanity and its desire to have control. It plays with the idea of humanity tampering with technologies beyond their power so much so that they create a monster. This is accentuated by the films nior and its black and white nature. Godzilla seems to come out from the shadows in certain scenes where the lighting techniques added to the dramatisation of the film. Overall, I really enjoyed the film and how it played with certain themes, issues within Japanese culture and history as well as advancements in science and technology. This film presented the fears, struggles and lives of Japanese people who were forced to live with the effects after the war and radioactivity. Thus, it provides a window for western audiences to view these struggles through the film.